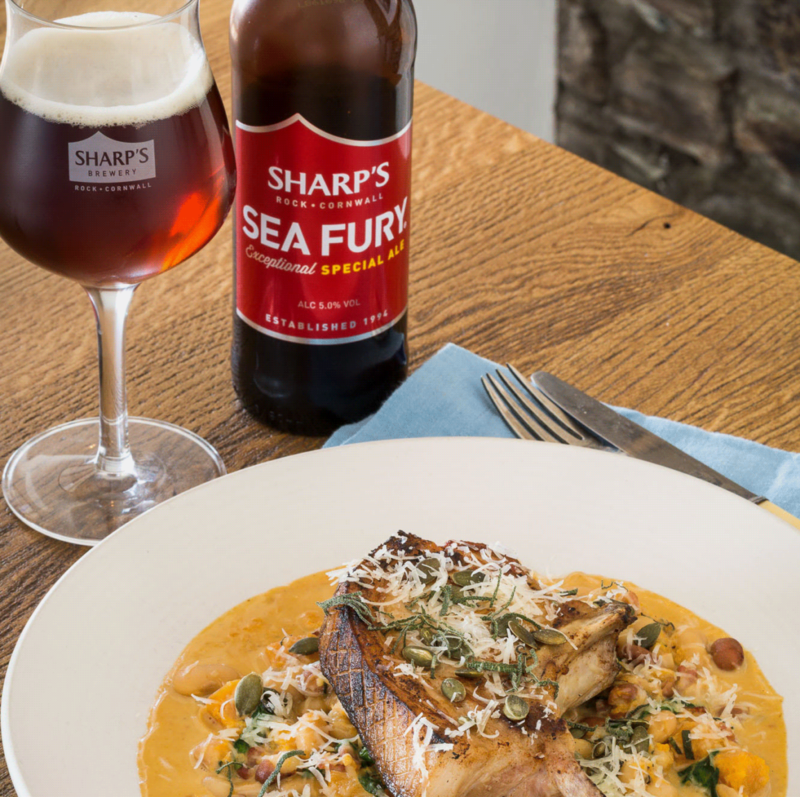 Beer and food pairing is a growing concept in modern cuisine, but often overshadowed by classic combinations like red meat and merlot and port with cheese. However, beer isn’t just for pairing with spicy curry; there’s a whole new approach out there for the curious beer drinker. “Just as with wine, there is a beer to match any occasion and any dish. As a starter for ten, the right Pilsner could be a good swap for a white wine, and a Red IPA can have as full a body as red wine. The average wine drinker is usually able to name a region or grape variety that they prefer, but what many don’t realise is that there is just as much variation of flavour in the world of beer, if not more. Everyone’s palate is different as is every beer, so don’t assume if you don’t like one beer you won’t like any of them. “At Sharp’s Brewery, we are big believers in using the right glassware. Beer is usually served in straight-edged glasses, but they fail to deliver the optimum performance and flavour of the liquid. The straight glasses completely change – and often eradicate – the aromas that brewers have worked so hard to get right. In our opinion, beer looks and tastes better in a stemmed chalice (red wine / brandy balloon) glass which holds the liquid properly and accentuates the aroma. Try it, and I’m pretty sure you’re going to be convinced. It’s a game changer. “To reflect the changing approach to beer drinking, we have really diversified our beer range with lots of new styles and flavours. We now have eight beers in our core portfolio including Atlantic, Sea Fury and, of course, the nation’s number one cask and bottled ale, Doom Bar. Beyond this, we are always experimenting with new flavours. Our mission and focus is to raise the bar for beer and brew the next generation of exceptional beer. It’s for this reason that our brewery is a place of constant activity, creativity, ambition, and energy.